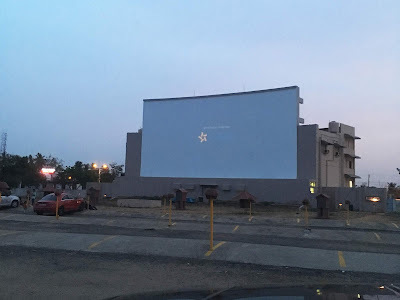 Hereafter, I decided not to go for the evening shows at drive-in theatre as they begin to play movies at 6.45pm itself, it takes at least half an hour to get clear picture on the screen or to say until the sky turns darker. Except winter, all other season has day light up to 7pm and it’s really difficult to get involved watching. The only theatre I could visit here was the Prarthana beach Drive-in Theatre where I could watch movies sitting from the car rather shifted to a seat like regular theatres, and I don’t think Chennai theatres are wheelchair friendly or allow to watch movies from wheelchair. Apart this we could avoid traffic if we go for the night show at 10pm, and it takes only 15-20 minutes to reach and return home. 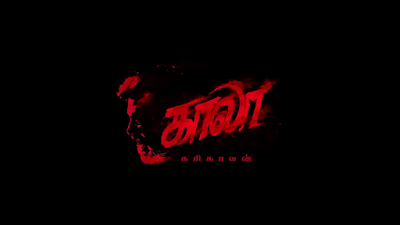 Last week I went to watch Tamil superstar’s Kaala and it is a movie based on the popular residential area of Mumbai, Dharavi (one of the largest slum in the world), where the superstar protect the people from a political head who tries to evict them to execute his construction plan. The movie was easily predictable, and the director has made it simple so there wasn’t an excitement of watching a Rajini movie. I too went without an expectation perhaps because Rajini has done many don movies and this is another shade in black. Actually at many places it feels and reminds the pro-jallikattu and the tunes celebrating Kaala also reflects the loudness of people gathered at Marina and black being the protesting logo influenced lot. I thought it was only me, reminded the popular Vivek comedy where he played a fake don in Tamil film Padikkadavan but now I could see many connected this way while watching the movie. For people who went looking for some action from Rajini could have disappointed but ok with bit of styles. At a scene where he says, you may have come without asking me, but to go you have to… I wish Director Ranjith could have made clear notes at some places and also the sub for Hindi dialogues are unclear and noisy when languages blend. All characters did their part well and Easwari Rai had made a nice resurface after long time in Tamil and her slang is typical. Nana Patekar role could have been stronger and the movie is an eyewash overall in black. Could watch ones and you won’t miss anything if not. A drive-in theatre! I haven't seen one of those in years. This movie seems to be more concerned with an agenda than storytelling. I didn't like it. Hello, it is neat seeing a drive in movie. They all closed up around my area. We don't have any drive-in theaters anymore. I sure enjoyed them when we did though. Sorry about the movie... Politics play such a role in so many things these days... Definitely not entertaining. I haven't been to a drive-in in years. They seem to have disappeared with everything else. These days the younger people would download a movie and watch it on their phone. How fun can that really be? I read more these days and enjoy it. The movies they make and produce, in my opinion, are not very entertaining plus you can predict the outcome. Thanks for stopping by my blog and leaving a comment. Have a wonderful rest of the week. I think all our outside movie places have been shut down. I know where one sits in Des Moines but I don’t think the open it up anymore. I have been wishing to experience this drive in theatre which do not exist in my country. I think our weather is too warm and humid with frequent rains that would hamper the screening.